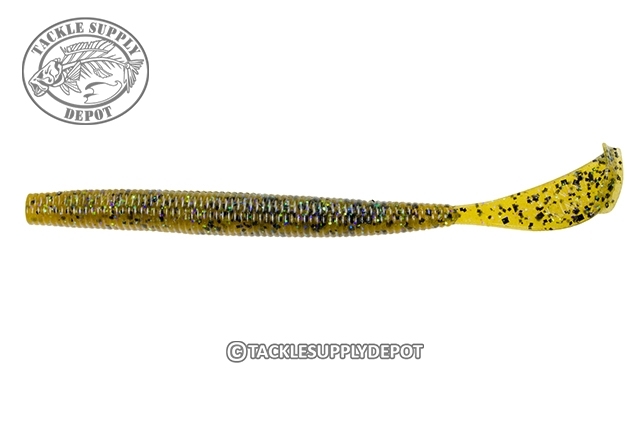 The Strike King Rage Tail Cut R Worm can be flipped, pitched, Texas Rigged, Carolina Rigged or swam weightless. With the Rage Tail flange on the tail this contributes to possibly the faster tail flicker rate on the market. Any way the Strike King Rage Tail Cut R Worm is rigged the action will be too much for the bass to resist. Each Rage Tail lure has a unique and exclusive Tail design and is engineered like no other soft plastic bait. Each is designed with a specific purpose and uses customized hi-grade plastics for superior action. All Rage Tail baits are packaged in individual clam shell packages to hold its shape until use. This means higher quality and NO deformed bodies! !